Meaningful Traditions or Outdated Definitions? 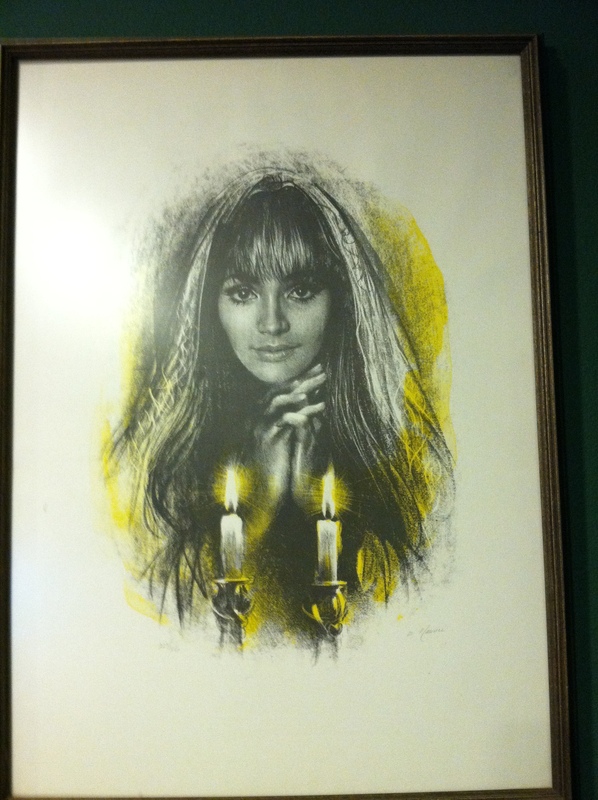 She has been hanging in my parents’ home for as long as I can recall — which, in my case, is nearly my entire life. She is my mother. OK — that last part is not, to the best of my knowledge, true. But as a very young girl, with my earliest memories of MomGiraffe were of her lighting the Shabbos candles, the two images became conflated. With one exception, a topic for another day, Shabbos candles were lit weekly in my childhood home. My mother had a beautiful candelabra while PepGiraffe and I shared a set of small, plain candle holders. Until both of us, in turn, reached the age of mitzvot whereupon we received a set of our own silver candlesticks. And our brothers? They were there…in the background. One helped with the kiddush and the other with the Motzi. I doubt that there was any sort of agenda with regards to the gender roles; my sister and I were on the scene before the boys arrived. I do not remember ever desiring to help with the other rituals nor am I aware of any of my siblings expressing any problem with the established practice. But now I am faced with a dilemma — what to do in my own home. When I bentch licht, the kids stand and chant the blessings alongside me. And they participate equally in the kiddush and the motzi. So what’s the dilemma? I want Poppyseed to use the same little brass-coloured candlestick that I did when I was a girl. I want to present her with her own set of silver candlesticks on the first Shabbat after her thirteenth birthday. I want them to represent the transition to a life of ritual responsibility. And I want her to feel that same exhilaration that I did. Without making her brothers feel left out. Or am I just over thinking the whole darn thing? At my synagogue, every student receives candlesticks when they celebrate become b’nei mitzvah. But I remember very clearly when a young woman was given her father’s kippah at her bat mitzvah, then two year’s later when the second daughter received her father’s tallis. Do you and your husband have other items of significance to give to the boys as they reach 13 or is there a new tradition that you can start for them? Since I am Orthodox, my response is going to be informed by my understanding of Halacha, imperfect as that may be. Obviously, our son received tefillin before his Bar Mitzvah. Someone gave him a Kiddush cup and he asked to be allowed to make his own Kiddush on Friday nights. Which we agreed to. It is not the custom in our community for unmarried girls who are at home to light their own Shabbat candles. I am trying to be very careful with my word choice as I do not want to imply that someone whose daughters light is doing something wrong. AFAIK, we (sons, daughters, wife and me) are all at peace with the idea that boys and girls do different things. FWIW, our daughters attended a high school where girls have the option to learn Gemara. One daughter is at Stern, where Gemara is also offered. Don’t think she wants to right now; this is about them having the choice. I think you would be doing your boys a disservice by modeling something that isn’t where you and your family are religiously. As you said in this post (and have said before) you are not of the mindset that equal has to be identical. You are a female Rabbi who wears skirts and not a kippah – the concept of individual meaning in Jewish practice is not lost on you. I think you have to teach your kids the meanings behind the practices and find ways that work for you – whether or not they work in anyone else’s family. That picture always freaked me out. It never reminded me of mom. I always thought that pic would be more at home in the Haunted Mansion.